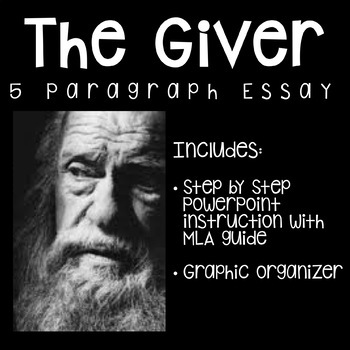 This product will complement any unit on The Giver as it guides students in writing a five paragraph essay in response to the prompt, "Is the society in The Giver a utopia or a dystopia?" When you purchase this product, you will receive a powerpoint presentation that teaches students how to respond to a book prompt using "Point, Evidence, Analysis" format, as well as a graphic organizer. 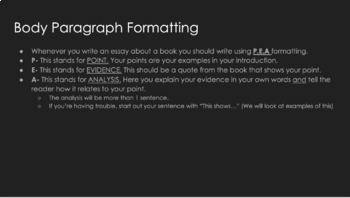 The powerpoint also addresses how to cite evidence using correct MLA format.